The highly affordable ATL Berkshire 200 is an entry-level business phone which comes with a generous 10-year warranty. The ATL Berkshire 200 provides a headset port allowing you to connect any standard headset for hands-free communication, and there is a modem port for sharing the telephone line with any desktop or laptop computer. Other useful features include MF dialling, adjustable volume controls and last number redial. 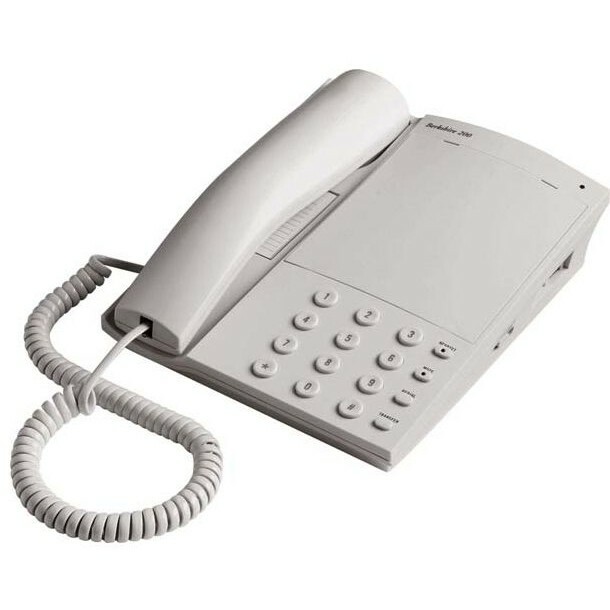 An excellent choice for the budget-conscious business user, the ATL Berkshire 200 is a dependable office phone which is also exceptionally easy to use. Bought for a small home office and think it offers very good value for money. Would happily recommend. I ordered on a Saturday. My order didn't get dispatched until I wrote and called a week later. I had to change the delivery address and this was solved without a problem. Good customer service, a little glitch with dispatching the order in time (I got it in 7 working days instead of 5, only after writing to them about it).